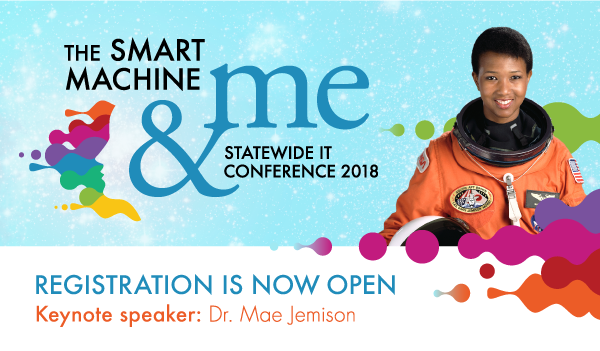 UITS Monitor: Registration is open for the Statewide IT Conference! Don't get caught by this phishing scam. A phishing campaign currently making the rounds is impersonating IU leadership to try to defraud users. If your inbox contains an email from IU's president, provost, chancellors, deans, or vice presidents, check for a digital (S/MIME) signature before you click. While IU has sophisticated security measures in place, YOU are still the best defense against phishing emails. Protect yourself and the IU community with information from phishing.iu.edu. Watch for the event at the regional campuses. Game On!, IU's annual tech and gaming event, is coming to the regional campuses during September. The event, hosted by UITS, gives gamers the opportunity to take part in video game battles and experiment with virtual reality headsets, and features helpful information about how to save time and money using tech at IU. Need another reason to stop by? There's free stuff and giveaways! Learn how to create ads that attract all people. Are your job postings not bringing in the applicants you're looking for? Without realizing it, you may be creating job descriptions that work against diversity, rather than creating it. Learn some new techniques at the Unconscious Bias in Job Postings workshop, sponsored by the IT Leadership Community (ITLC), IU Women in Technology (IUWIT), and UITS Together. Led by Maureen Biggers, director of IU's Center of Excellence for Women in Technology (CEWiT), the research-based, hands-on session will provide strategies for writing and evaluating ads that can result in a larger pool of qualified applicants. Explore the principles of perception in this weekly series. Do you want to learn more about scientific visualization? Or are you wondering what the heck it is? Stop by the IU Advanced Visualization Lab's weekly workshop series, moderated by William R. Sherman and focusing on modern tools for analyzing simulated and observed scientific data. Faculty: are you on the Learning Technologies email list? Sign up to stay on top of the latest information. If you're using supported learning technologies at IU (like Canvas or IU eTexts), you’re probably eager to know when there’s something new that might affect functionality or availability. The best way to stay informed about announcements, updates, and maintenance timing is to sign up for the Learning Technologies email list. The list is also a great place for getting tips and learning new tricks from those who support these tools—not to mention hearing about workshops, pilots, and other opportunities. And, while the list is faculty-focused, anyone is welcome to join. New method will be in use in January 2019. Recently, the UITS SafeIT Task Force discovered that some emails were being unintentionally encrypted by the Cisco Registered Envelope Service (CRES). To prevent this issue from continuing, UITS will begin using one single phrase for outgoing emails. Beginning in January 2019, using the term "[Secure Message]" with brackets around the phrase in the subject line will encrypt the messages to non-IU email addresses. Emails using "Confidential" in the subject line will no longer be encrypted by default, nor will those using "Secure Message" without brackets. While the official change won't take place until January, UITS encourages users to begin using this method immediately.